The legendary ensemble brings "The Cusp of Magic," by minimalist pioneer Terry Riley, to Hertz Hall. Follow the acclaimed ensemble Kronos and master pipa (Chinese lute) player Wu Man through the alchemic landscape of minimalist composer Terry Riley's The Cusp of Magic. Or brave the happy collision of composer Kevin Volans' White Man Sleeps, in which seventeenth- and eighteenth-century European instruments are attuned to South African music's shifting downbeats and irregular harmonies. And to stretch imagination's limits, journey into the vast sonic atmosphere of David T. Little's multi-sectional Agency — about which Kronos founder and violinist David Harrington said in a phone interview, "It's an alarming piece: The more you think about it, the scarier it gets. In terms of its subject, I find it thrilling." "Thrilling" is an appropriate word for describing Kronos, which will bring these treasured works to Cal Performance's Hertz Hall on January 18. For more than forty years, the ensemble has been traipsing the fringes of the string quartet universe: unraveling the canon's boundaries and weaving its fine, classical traditions and technique into a larger, supremely satisfying, contemporary tapestry. Often, Kronos' stylistic expansion comes through spontaneous collaborations, resulting in more than eight hundred commissioned works and dozens of long-term friendships. Riley said his shared lunches with Harrington in San Francisco's Chinatown have resulted in cherished works. It's difficult to overstate the influence that Riley — who is considered the father of minimalism — has had on Kronos' playing and repertoire. "What I value most out of the long association [with] Kronos is the deep understanding and trust that flows between us," he said. "They are such a deeply probing ensemble that their search to mine hidden elements in a score continues even after they have been playing the work for many years. We share the philosophy that the work is never done." The magic of their collaborative elasticity provides freewheeling license to Riley's expansive, wildly divergent imaginings. Cusp of Magic allowed Riley to draw on unique realms, namely, children's toys and Man's artistry on the pipa — a talent Riley had long admired, but an instrument for which he'd never written. "David [Harrington], a new grandpa at the time, had been collecting toys in his travels with Kronos," Riley recalled. "He invited me over to his house and we spent a morning recording a bunch of them. This became the basis of the atmosphere for the music of the two interior movements, 'Emily and Alice' and 'The Nursery.'" Magic's 45-minute composition features an element shared by all three works on the Berkeley program and a hallmark underlying Kronos' compelling energy: complex, diverse, challenging rhythmical structures. Sure, there's exquisite non-vibrato bowing, enmeshed electronics, surprising textural combinations, and global influences on harmony, but it's rhythmic features, such as Cusp of Magic's 108 beat cycle — played by Harrington on bass drum and peyote rattle — that establish the bedrock. A deep, pulsing drone in the first movement reflects the "singular field of concentration" that Riley continues in later movements with hints of Haydn, East Indian wedding bands, and ethereal lullabies written and sung by Man. Throughout, rhythmic patterning creates texture that is organic and fluid, yet stabilizing. Harrington said the piece is "an astonishing experience" and that playing with Man allowed him to admire the Grammy-nominated musician's effortless virtuosity and ease with her instrument. Man was the first non-Western performer to win Musical America's Instrumentalist of the Year and currently performs with cellist Yo-Yo Ma's Silk Road Project. "The first time I heard her in 1992, I was incredibly impressed and moved by her ability," Harrington said. "The sonic variety she coaxes from her instrument is amazing. When she joins with us, it feels like the palette of musical colors just expands." 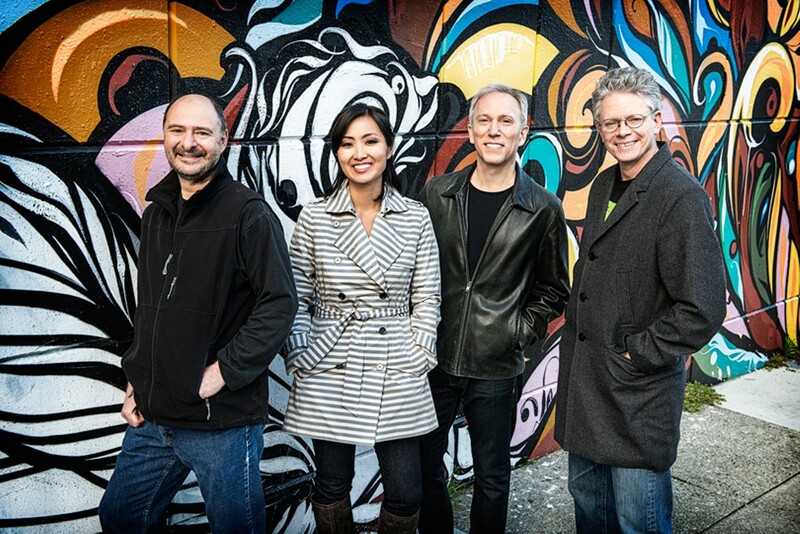 Kronos — which is Harrington (violin), John Sherba (violin), Hank Dutt (viola), and Sunny Yang (cello) — will also return to Volans' White Man Sleeps, a piece they haven't played since 1992. Originally commissioned by Kronos in 1984 and premiered in 1986, Harrington said revisiting the work is like meeting an old friend. "When we [first] started playing it, there was a quality that had never been a part of our music. The interlocking rhythms were something we had to play extremely slowly at first. The gaits of various animals were talked about. I don't remember that ever coming into our rehearsals before then," Harrington said. As a performer who's fond of finding new shapes for performance experiences, Harrington said that considering how one piece might sound next to another has informed the placement of each work on the program. White Man Sleeps leads into the enclave of Agency, a work revolving around Australia's indigenous people and the mysterious Pine Gap, an American spy center in Australia. After those wayfaring adventures in South Africa and Australia, Harrington suggested that concluding the journey at Riley's Cusp of Magic will be like coming home.